Enjoy working with your MacBook even more! 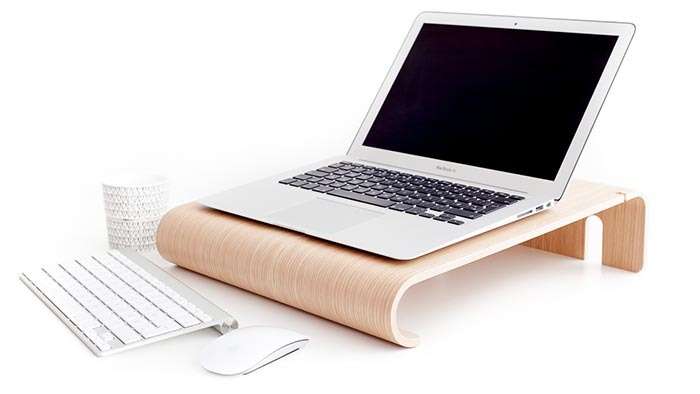 The wall desk is ergonomic and eco-friendly and the perfect accessory for you and your MacBook. You can hang the desk in the perfect height and even move it around. When used on a tabletop it will raise the MacBook and together with a keyboard and mouse you have the little workspace. 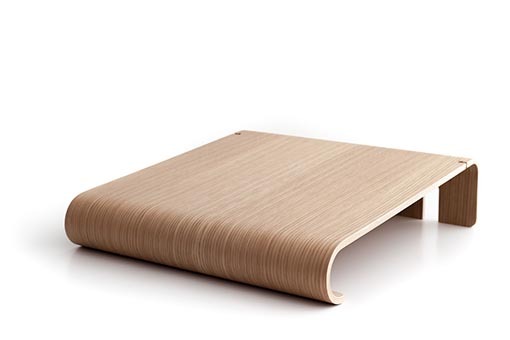 The MacBook Desk is designed in molded wood to follow the Danish traditions for beautiful Scandinavian design. 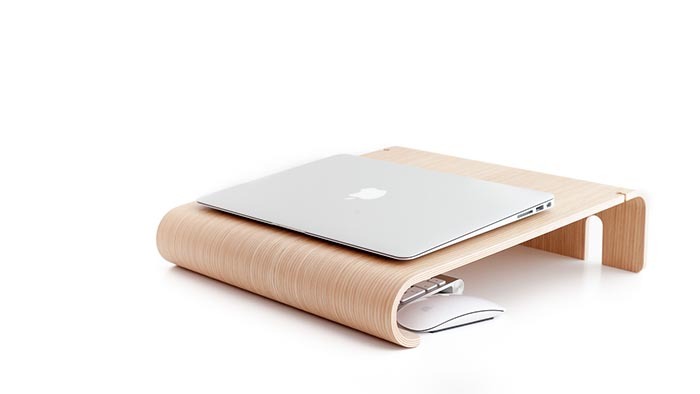 The wall desk is the perfekt MacBook work table with it minimal nordic design. 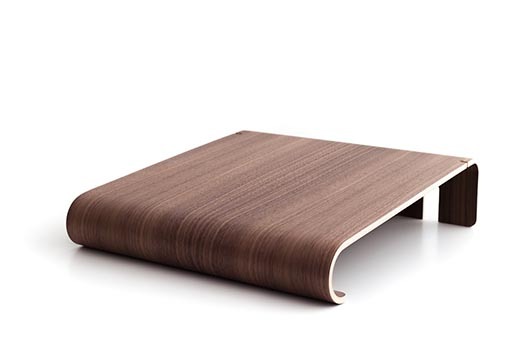 The wall desk is designed as a small standing table around which you can create a homely office. The wall desk can be fixed and easily be removed and moved around the house. If you have to work for long hours on a MacBook it essential to have a setup you can use for hours without getting neck or wrist pain. When done working you can simply pack it all nicely together. There is no need to have it all spread around the table. You can easily store a mouse and keyboard under the shelf to tidy it all up. Dimensions: Depth: 40 cm, width: 35 cm, height: 10 cm. In the box: Wall desk, two knobs, screws and plugs.